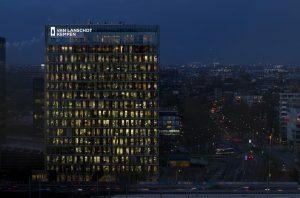 The event will take place on Thursday 12 May at 15:00 and will be held at the Dutch KPMG headquarters in Amstelveen. At the event, we are very happy to announce that three of the co-authors of the recent Science publication “Complexity theory and financial regulation” will be present. Prof. dr. Cars Hommes (Economic Dynamics, University of Amsterdam), prof. dr. Hans Heesterbeek (Theoretical Epidemiology, Utrecht University) and dr. Diego Garlaschelli (Theoretical Physics, Leiden University) will explain, each from a different angle, how complexity theory may help anticipate and manage future crises. Traditional economic theory has not been able to explain, or even predict, the near collapse of the financial system and its long-lasting effects on the global economy. Their paper discusses recent insights and techniques that offer potential for better monitoring and management of highly connected and interdependent financial systems. Mandelbulb image kindly provided by bencrowder.net.